My first job out of grad school in the 1980s landed me smack in the middle of the Cold War, though I seemed blissfully unaware of it at the time. As a journalist living in Vienna, my job took me to Prague several times from 1986 to 1990 and straight into the clutches of my translator and friend Arnold, a local Czech "fixer" whose job (at least I thought) was to help me set up interviews and report on developments in Czechoslovakia. Apparently, he had a different assignment. Here's a bit of my story, and his, from those days. This post unfolds over three parts: find Part 2 here, and Part 3 here. Top Photo: A sketch of Arnold by Prague-based artist Stewart Moore that bears a fairly close resemblance. Unfortunately, I don't have a photo. It seemed taboo back then to take Arnold's picture, and all of his official photos have been stripped from the files of the Czech Interior Ministry. 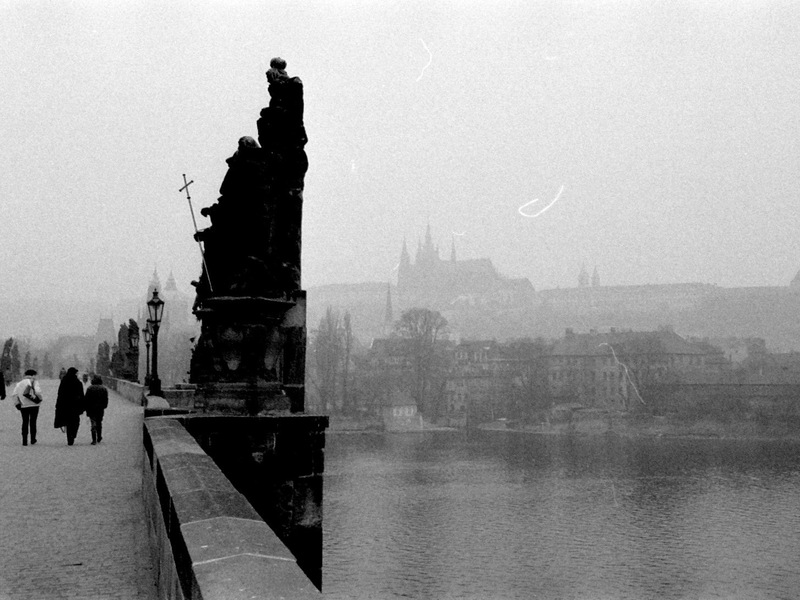 Posted in Life In Prague, Tales From The Past and tagged Cold War, communism, Czech, Czechoslovak, Prague, spy, Vienna. 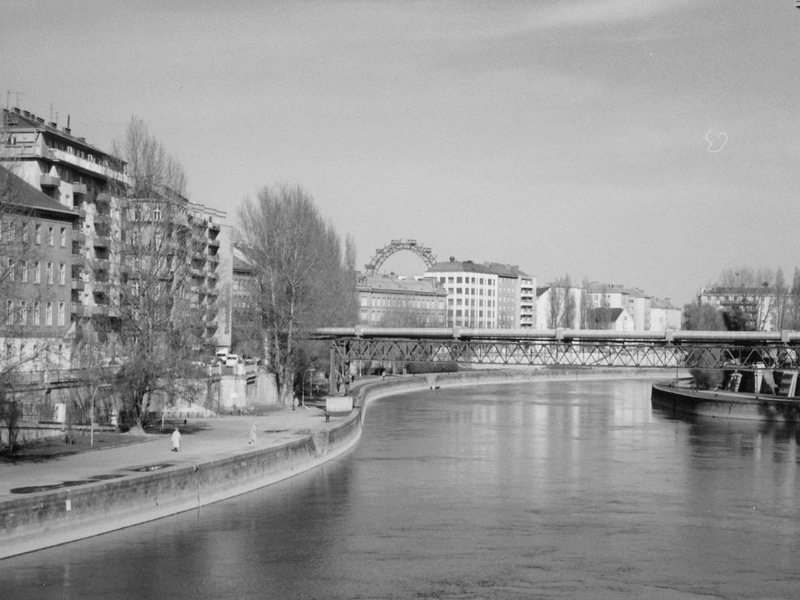 A photo of Vienna's Donaukanal from the 1980s, near where I lived and reported on Eastern Europe for five years from 1986 to 1991. It's still etched in black and white in my memory. The city was a backward, quiet, and sinister place, but I loved its somberness and strangeness. Photo by Mark Baker. Another shot of 1980s' Vienna, this one from 1988. Not the bright, shiny, prosperous city it is today. We at Business International referred to the city as "Next Stop Bratislava" among ourselves. Photo by Mark Baker. The first Czech I ever met turned out to be a spy. And he probably thought I was one too. (He was also the first, and only, Czech I ever met to be named “Arnold"). Arnold played an important role in my early travels to Czechoslovakia, and he's likely to come up in future stories. It’s time to introduce him here. To set the stage, I need to go back to Vienna in the mid-1980s, when I was a newly minted journalist fresh out of grad school. My first real job in journalism was as a reporter for a small research and publishing outfit called "Business International." 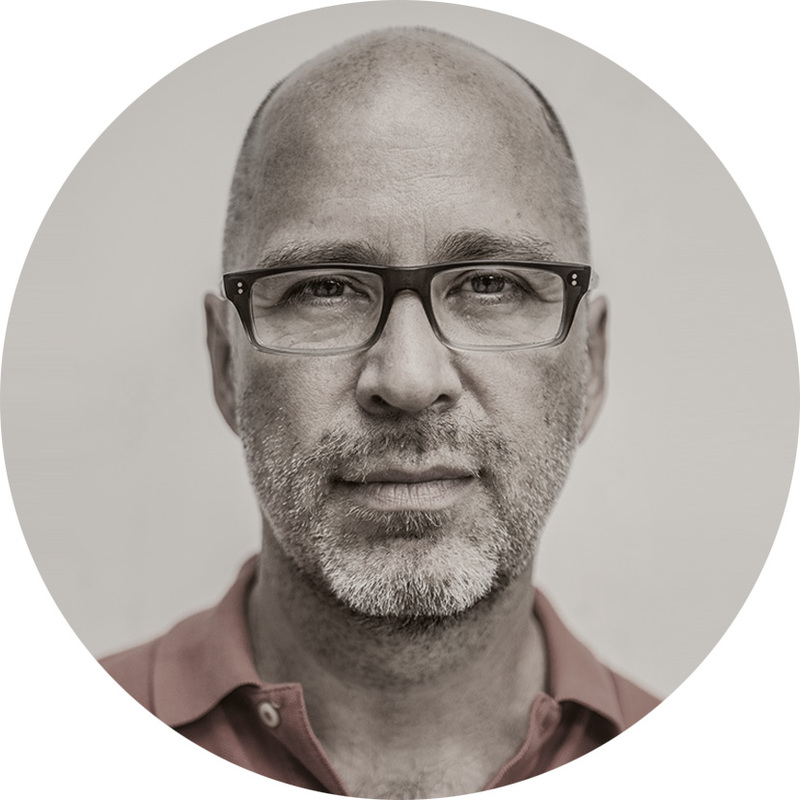 I started out at the company’s headquarters in New York but was quickly transferred to their Austrian office, which was responsible for covering stories out of Central & Eastern Europe. 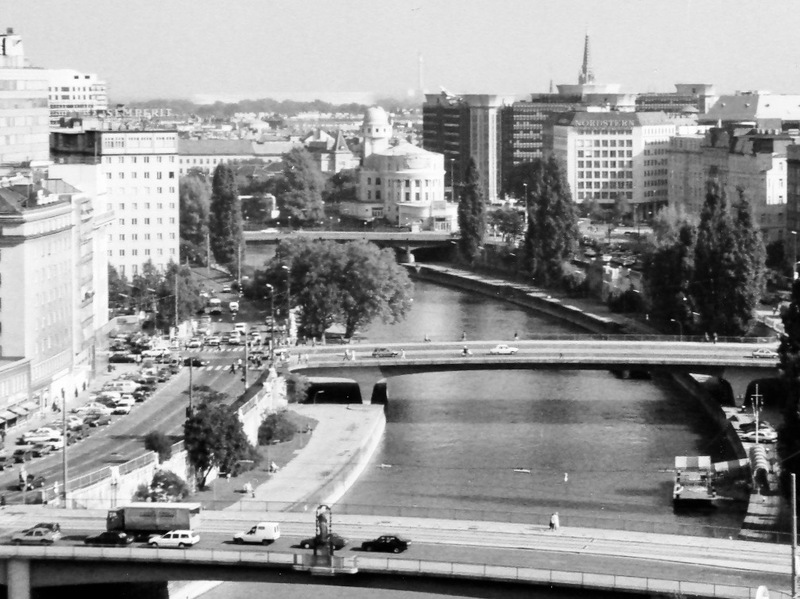 I was thrilled at the opportunity to move to Vienna and cover the Eastern bloc. In school, I had specialized in Eastern European area studies, and back in the 1980s chances to work in the region were few and far between. I felt like I was living a dream. I’ll write more in the future about how odd the Vienna bureau of Business International seemed when I first arrived in the summer of 1986. It was a 10-man editorial office, led by an ex-Vietnam War vet who dabbled in writing spy thrillers. I didn't realize it at the time, but our office was viewed with a high degree of suspicion by the region’s then-Communist regimes, including the hard-line Czechoslovak government in Prague. That suspicion was perhaps not so misplaced. Vienna in the 1980s was not the bright, prosperous city it is today, so popular with tourists and compilers of those "World's Best Places to Live" lists. It was a relatively grim place, situated just 30 minutes' drive west of Bratislava and wedged firmly -- geographically, politically, culturally, and psychologically -- between East and West. It was also a hotbed of espionage. In the mid-1950s, Austria had declared itself "permanently neutral" as part of a deal to convince the Soviet Union to withdraw an occupying force it had stationed in the country since the end of WWII. In order to stay in Moscow's good graces, the Austrian authorities routinely turned a blind eye to all the spy-vs-spy shenanigans that still went on three decades later. Business International's Vienna office (marked on the map, below) was located just south of the city's Ringstrasse, between the 3rd and 4th districts, in what was once the Soviet occupation zone. It's no surprise, then, they were all convinced we were spies. 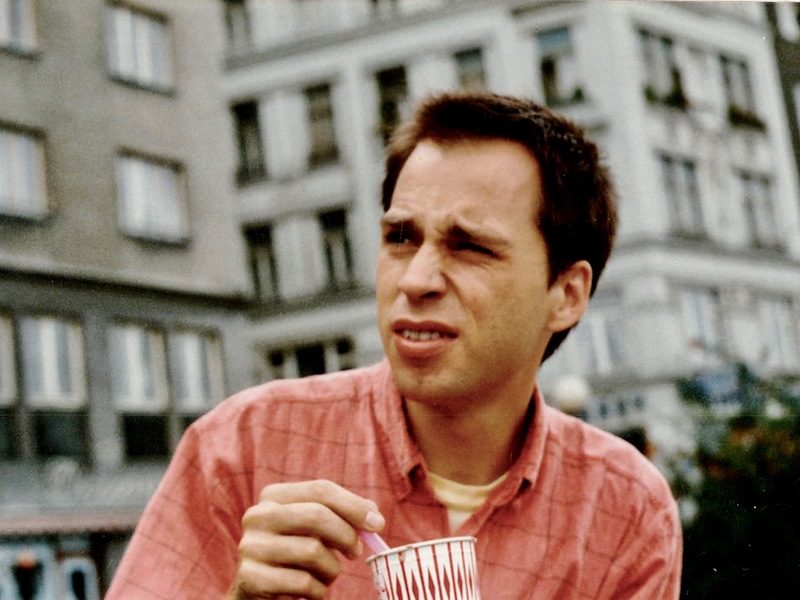 The author, eating an ice cream in 1980s Vienna, probably sometime in 1987, sitting at the city's central Schwedenplatz. Photo by Delia Meth-Cohn. 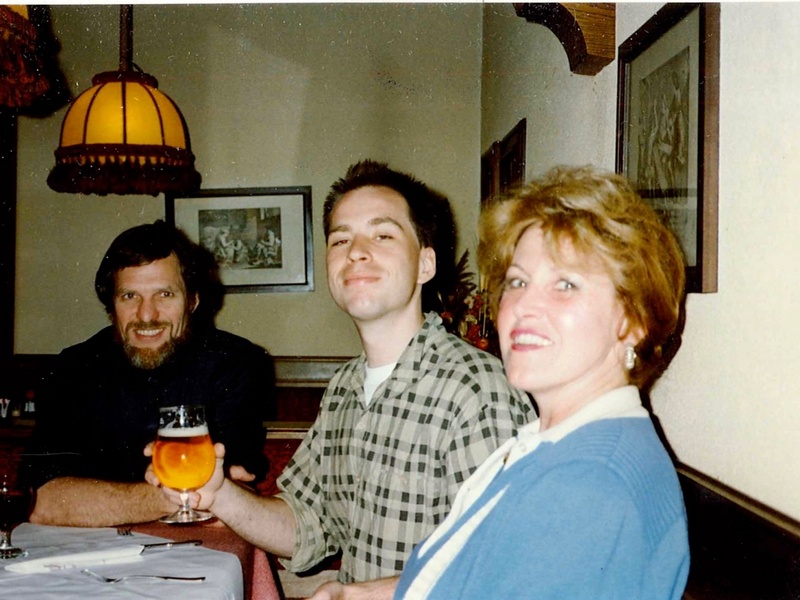 Raising a glass with a couple of my Business International colleagues in the late 1980s. Photo by unknown. 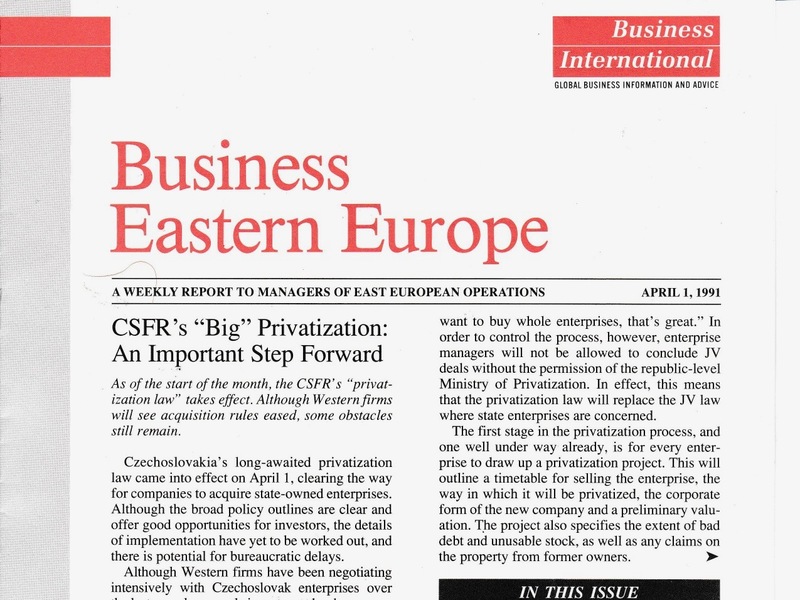 One of my main jobs in Vienna was working for Business International's flagship newsletter, "Business Eastern Europe." I started out as a reporter for the publication and in 1990 became the managing editor. 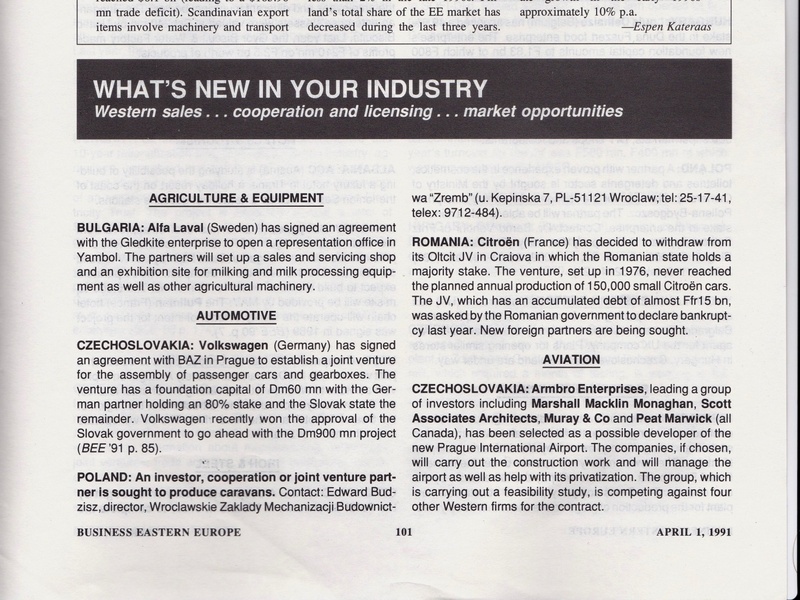 Just about everyone at Business International at the time started out by writing the weekly column "What's New in Your Industry" for the newsletter "Business Eastern Europe." It was the most popular part of the newsletter. The real perk of the job was travel. Each of us was assigned a particular Eastern bloc country as our area of expertise, and at least two or three times a year, we were sent in-country to report on developments and meet with local officials in the trade and economic spheres. It’s no exaggeration to say we lived for these trips. For no obvious reason, I was assigned Czechoslovakia as my country. 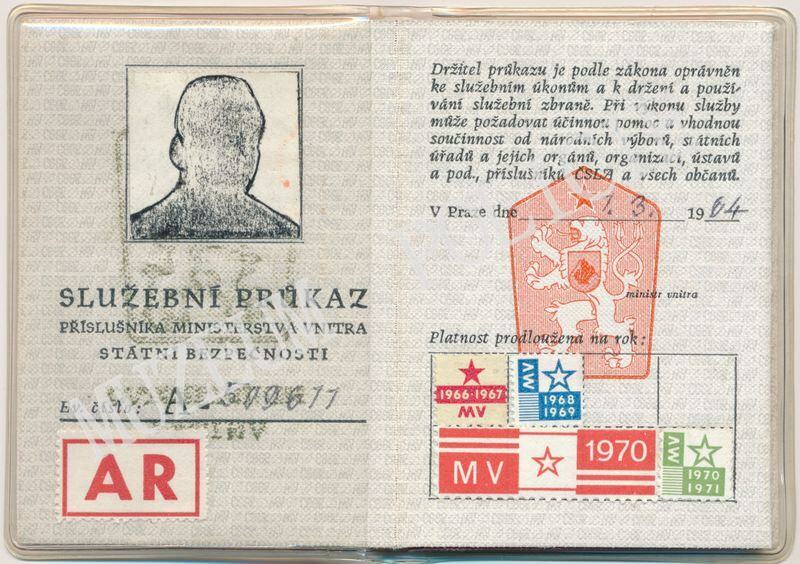 Though I didn’t speak Czech or Slovak, I knew enough of the language to thumb my way through the country’s statistical yearbook or the dusty pages of the hard-line, Communist-party newspaper “Rudé právo.” I didn’t mind the choice of country, though. I loved going to Prague. In the 1980s, traveling to Eastern Europe involved more than simply hopping a train or plane. The first step was to get an entry visa from the country’s embassy in Vienna. The Czechoslovak embassy, at the time, was located in a distant suburb and only open on certain days of the week, and on those days only until noon. The line for getting a visa was long, and when the doors of the embassy slammed shut for the day, there was no choice but to come back and try another time. 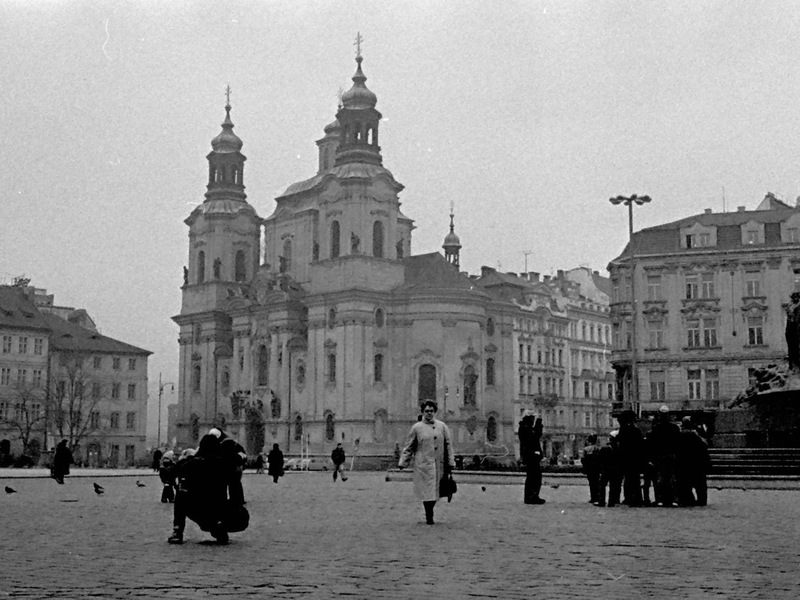 In the 1980s, I used to love to travel to Prague. In my mind, the Old Town Square remains much as it is pictured here: empty, slightly forgotten, and beautiful. Photo by Per Ryolf. 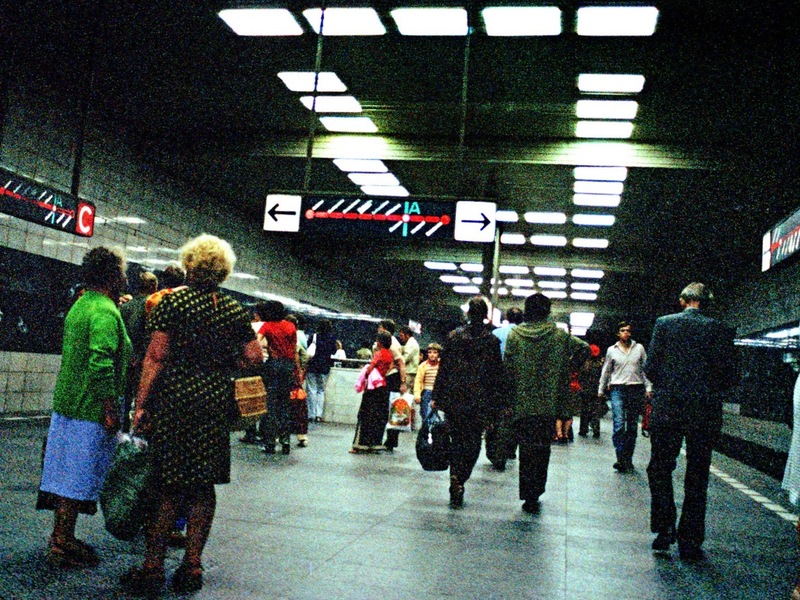 An early shot of Prague's metro from sometime in the 1980s. After Vienna's small, cramped system, Prague's metro seemed big, important, and impersonal. Photo by Alan Denney. So who is Arnold, you might be asking, and where does he fit in to all of this? Arnold lived in Prague and worked as one of Business International’s in-country stringers. He was one of a half dozen local individuals retained by the company in capitals like Budapest, Warsaw, Sofia, and Belgrade. Their jobs were mainly to suggest story ideas and help us to arrange in-country interviews on our trips. They also provided logistical support on the ground -- helping out with things like lodging and transport and finding a decent pub for a few after-work beers. Since I didn’t speak Czech, Arnold was also my translator. All of the stringers who worked for Business International at the time had similar official “origin” stories. They all presented themselves as former communists who had somehow fallen out favor with the regime, but who were nevertheless permitted to work part-time for Western publications like ours. They all seemed to be hard-bitten guys in their fifties or sixties (or looked it) and were all surprisingly well-connected. We speculated among ourselves whether they might be spies, but no one seemed to know for sure. It was an uncomfortable subject for us to bring up with management. I am pretty sure Business International would never have knowingly hired an active intelligence agent from the other side. I was painfully naïve at the time, but even then I didn’t totally believe the official story that these guys were all dissidents -- at least not in Arnold’s case. On a couple of occasions, in 1987 and 1988, Arnold had invited me over to his villa for dinner in the northern Prague suburb of Kobylisy. The graceful size of Arnold’s place, the quality of the furnishings, and the pretty views from his back terrace out over Prague’s Old Town in the distance didn’t totally jibe with his official backstory of a disgraced man on the outs. When I think back on those visits, a minor but telling detail comes to mind. I once brought a bag of coffee beans with me from Vienna as a small, dinner-party gift (the beans were of higher quality than could be purchased in Prague back then). I recall that Arnold’s wife, Jitka, was not impressed. Apparently, they preferred a different brand. I don’t want to get ahead of myself here; I’m only pointing out that even then I had my doubts about Arnold. I had no idea, though, who he would really turn out to be. A trip I took to Eastern Europe last fall began with a 5 night stay at the InterContinental Prague. In the course of performing post-trip online research — to create a chronology of the trip (in the form of a Facebook photo album, with captions — I stumbled upon your fascinating 11/13/17 article, “Room Service at the ‘Interconti’.” This led me to read other articles of yours, including your 3-part series on your Czech “fixer,” Arnold. Thank you very much for posting all of this wonderful material! It might interest you to know that I, too, was working in Vienna in the mid-1980s. Moreover, there is a slight possibility that, all these years later, you might even remember what I looked like in those days. My field was very different from yours — specifically, modeling — and in the course of my peripatetic career, Vienna proved to be my best market. Although I occasionally worked in fashion, most of the jobs I booked were commercial print work (i.e., ads for product and services as opposed to clothing). Two of these commercial print modeling jobs resulted in billboards and posters that were seen widely, all over Vienna. Below, you’ll find links to souvenir snapshots of me standing in front of each advertisement. One is in an S-Bahn station and the other is in a window of a bank on Hietzinger Hauptstraße.